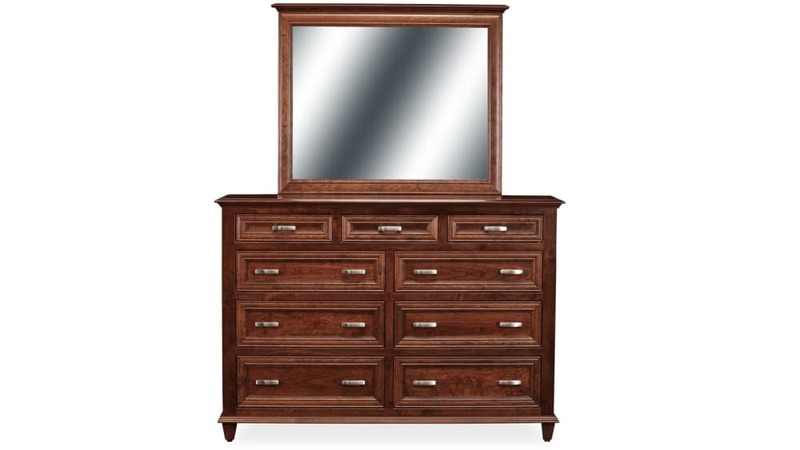 Bring a sense of timeless style to your bedroom with the Rosenberg Dresser and Mirror. Showcasing American craftsmanship at its finest, this dresser allows you to store your items in great furniture fashion. 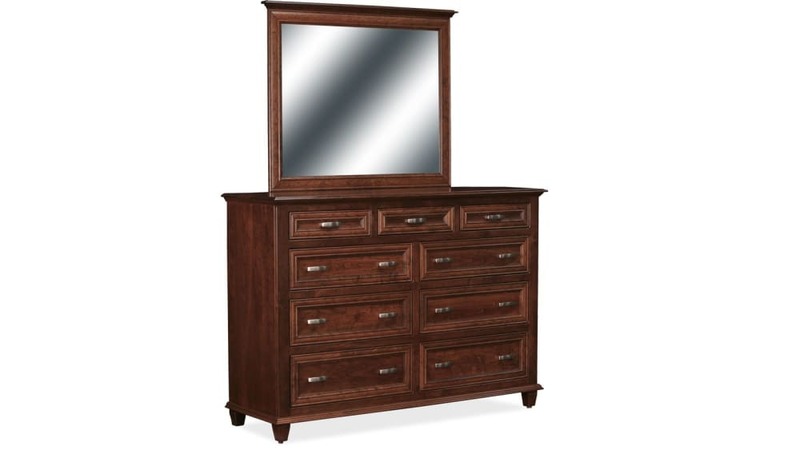 American-made by skilled craftsmen, this beautiful dresser offers superior quality. 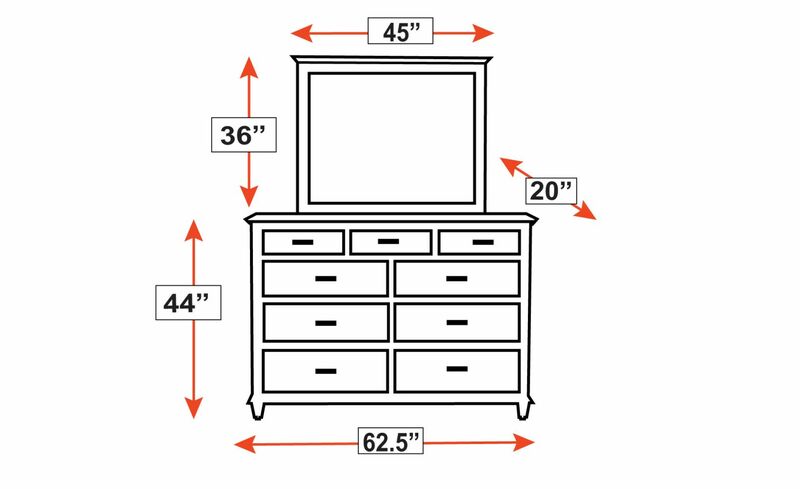 Nine spacious drawers provide the perfect place to store sweaters, jeans, and other bedroom essentials. 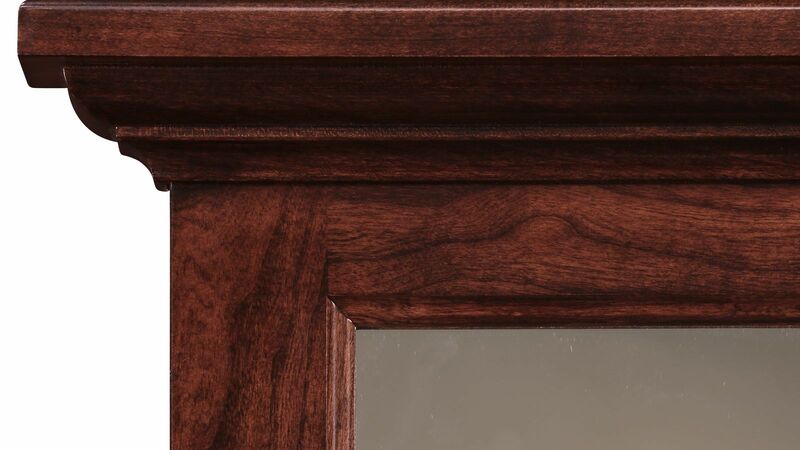 Traditional trim-work complements the dark brown finish. 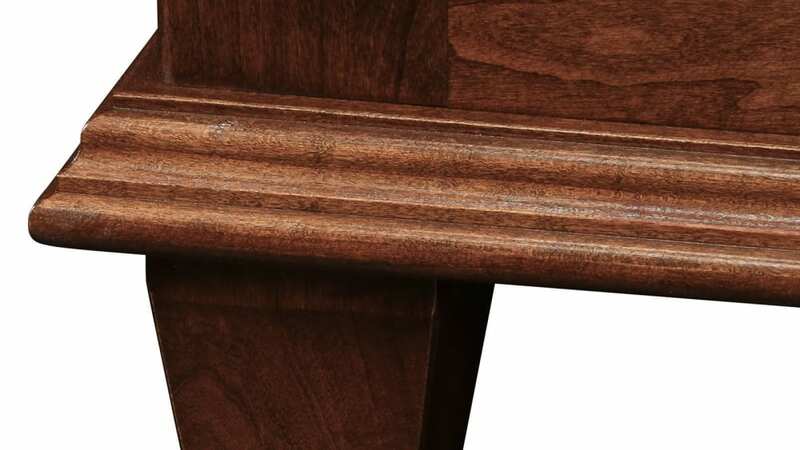 Antiqued hardware adds elegance to the clean lines of this piece. Display your decor on the smooth surface of this dresser.